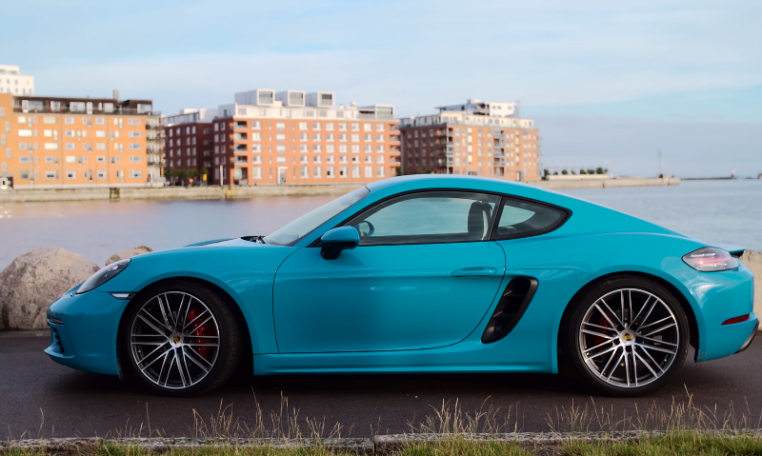 The 2019 718 Cayman is powered by one of two turbocharged flat-four engines including a 2.0-liter with 300 hp and 280 lb-ft of torque in the base model or a 2.5-liter with 350 hp and 309 lb-ft in the Cayman S. Both engines can be paired to a standard six-speed manual or an optional seven-speed twin-clutch automatic transmission. 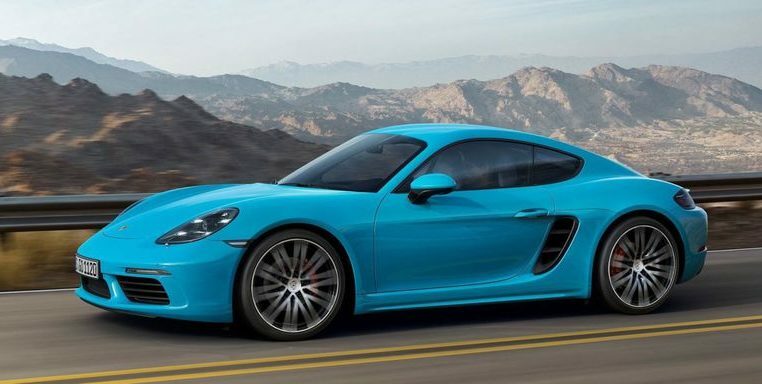 The EPA hasn’t given the 2019 718 Cayman its fuel economy ratings but its sister vehicle, the 718 Boxster is rated at 21/28 mpg city/highway with manual and 22/29 mpg with the automatic when powered by the base engine. Opting for the more powerful 2.5-liter unit drops those numbers down to 20/26 mpg with the manual and 21/28 mpg with the automatic. 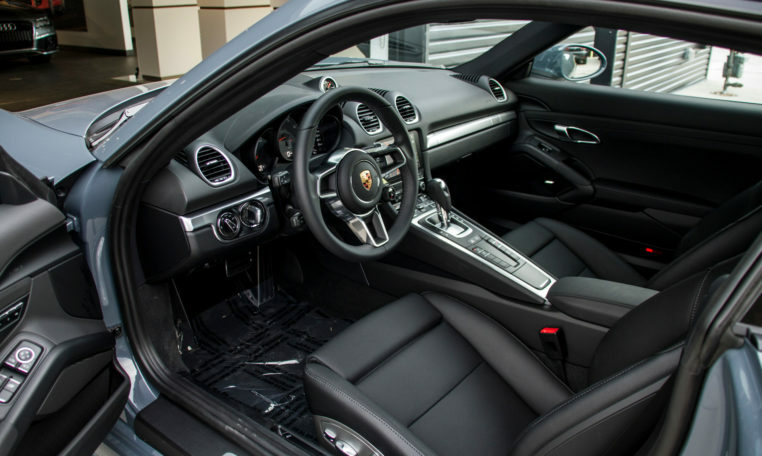 Since the 718 Cayman is a mid-engine vehicle, it has 5.3 cubic feet of cargo space in its frunk and 9.7 cubic feet in the rear hatch. Standard features include partial leather upholstery, 18-inch alloy wheels, a rearview camera, the PCM interface, Bluetooth connectivity, parking sensors, and HID headlights. Options include navigation, adaptive sport seats, premium audio system from Bose or Burmester, alloy wheels up to 20 inches in diameter, leather upholstery, an active suspension system, carbon ceramic brakes, a torque vectoring system, a sport exhaust, a larger fuel tank, heated and ventilated front seats, a heated multi-function steering wheel, LED headlights and dual-zone climate control. 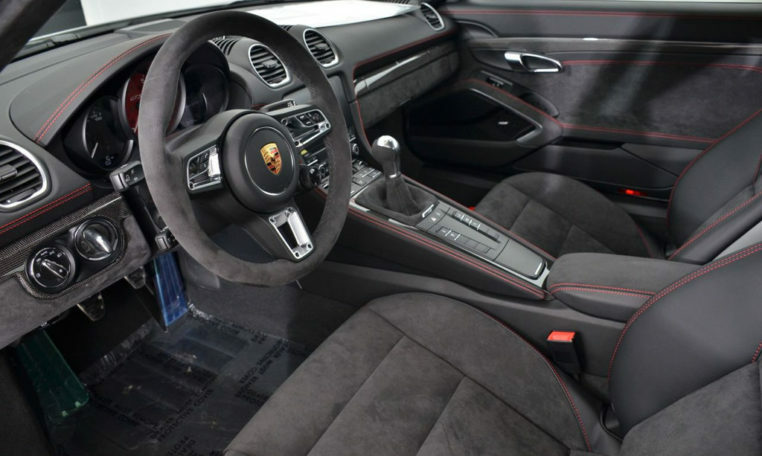 Additionally, you can also customize the 718 Cayman with different interior treatments such as two-tone color schemes, contrasting seat belts and stitching, and metal or wood trim. 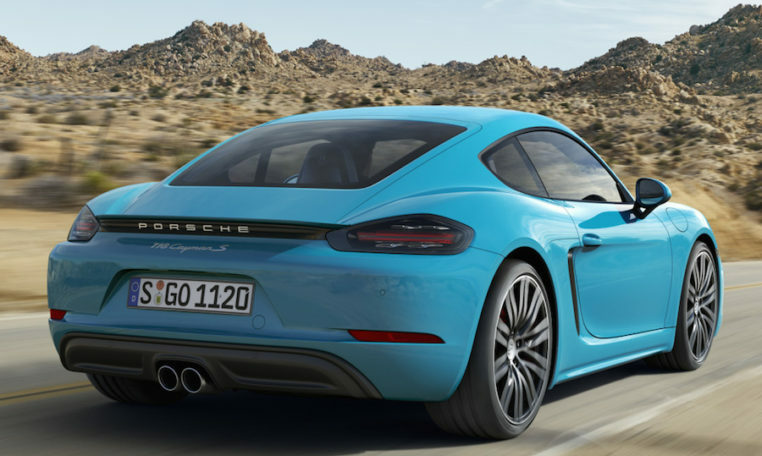 The NHTSA and IIHS haven’t crash tested the 2019 Porsche 718 Cayman, which is available with lane change assist, adaptive cruise control and Porsche Active Safe, which bundles together forward collision and automatic emergency braking.